Contrary to what people believe, children get stressed by many things. As a parent, it is your duty to help your child get through those rough patches in life. 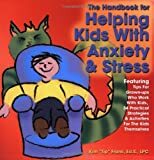 If you do not help your child through anxiety and stress, you risk their education, social life, and self-esteem. The prevailing education systems alone put tons of pressure on young children. The first step is to identify what your child’s stress is coming from. If you only address the symptoms without finding the root cause, the stress will find its way back into your child’s life. Start with talking to your child. If this doesn’t work, try visiting their school and talking with their teachers, as well as their friends. It might not be easy to identify the cause of the stress but you should not give up. Once the child begins to talk, it’ll take some digging, but eventually, they’ll tell you in their own way what caused the stress. Are you your child’s best friend? It’s not always necessary, but you should at least have a window of communication open. As the parent, you deserve to know what is going on in your child’s life more than his friends do. Make an effort to listen, talk, do activities and have a good relationship with your child. Use your parental instincts. When we as parents rush to give advice with a know-it-all attitude, it can stress our children out even more. Get a feel for how your child wants to be treated when they are stressed. Some children may talk about it, while others may not. Some children prefer to be left alone until they are ready. The best thing you can do is to let them know you’re there for them no matter what. This is reassuring and lets them know you’re there to listen if they need to talk. You should create a regular sleeping pattern for your children and make sure they stick by it. In addition to reducing stress and anxiety, having enough sleep will also improve memory, alertness, lift mood swings, and increase happiness. Since this step can be good for everyone, you should try to get to sleep early, too! Your child is much more likely to get the full amount of sleep required when you’re doing the same. Everyone needs to vent. If we hold things in, we will be like a raging volcano that builds and builds until we finally erupt. This is unhealthy and harmful to your child, as well as, others around them. Venting can happen in a few different forms: crying, shouting, etc. However, you should never let your child become aggressive when letting out pent-up emotions. Breaking and throwing things, harming others, these are all reactions that need to be stopped immediately. Coloring. Help your child find their artistic abilities. Arts and crafts are a great way for them to express themselves and find calm in a hectic environment. Cartoons. Watching their favorite cartoons can reduce anxiety. This is why children’s hospitals have cartoon characters on the wall and curtains. Yoga & Meditation. If you participate in these activities, try grabbing your child and letting them join you. These activities can be just as relaxing for them as they are for you. Let your child know that it is okay to be angry, stressed, and anxious. These emotions should not be considered taboo. This means the world does not always have to right and that it is okay to be stressed, feel miserable, and then rise up again. Teach your children how to bounce back after stressful moments and most importantly, how to walk away from situations that may cause anxiety and stress. You should always be active in your child’s homework. At all points, you should know how well or bad they are doing. If they need help, make sure you are available to give tips or help solve problems. If you are too busy with your work and career and your kids are doing poorly in their homework, you can hire a private tutor to help with some difficult subjects to lessen the stress and anxiety of your kids.